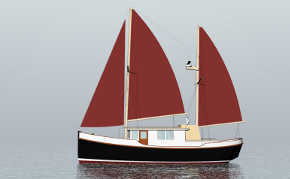 T-Cup is a family cruiser in the “Tug-type” style. 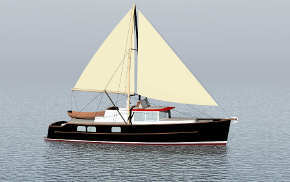 This boat is far closer to a real tug than any of the production fiberglass boats sold as “Tugs” because they have bulwarks and a fake funnel. 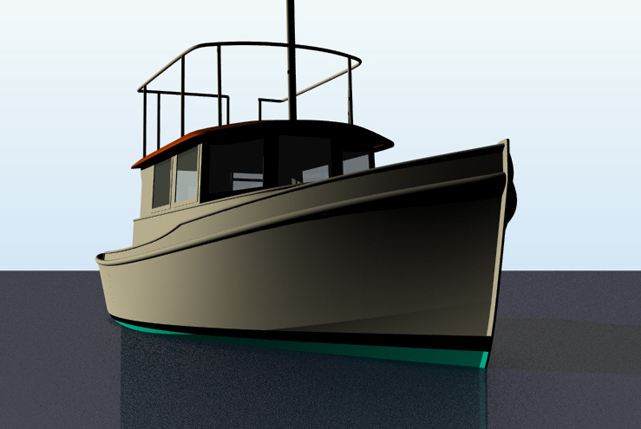 Her multi-chine aluminum hull is intended for simple and quick construction right side up in a female jig. All hull plates are NC cut from designer provided patterns. 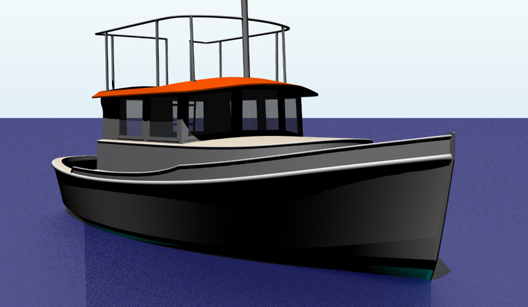 The hull bottom incorporates “fillet” plates between the keel side and hull bottom so the engine can be installed lower in the boat. 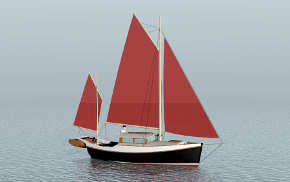 There are accommodations for four, a large double berth forward and a drop down table to make another double in the deckhouse. Galley space is tight, and it can be either upstairs aft of the helm seat, or forward opposite the head. The aft cockpit is large with lots of room for chairs or built in seating, a aft cockpit door and swimstep make water access easy. 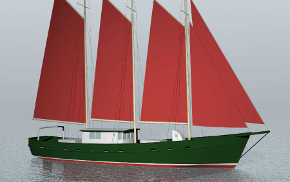 The flying bridge is just light pipe railing for fair weather viewing of the passing scene, additional controls upstairs and a bench seat, with a few rubber tire fenders around the bow, complete the tug picture.